Do you have a few Canadian Silver coins? Are you wondering which ones are valuable? 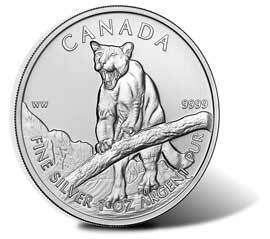 Here is a list of silver coins from Canada with their silver content. *1968 Canadian Coins; Require magnet testing to find debased non-silver coins. Canadian Coins prior to 1920 are 92.5 Sterling Silver. Canada also mints the Canadian Silver Maple Leaf. It is a .9999 one Troy Ounce silver coin. These coins have been minted since 1988. They are the equivalent of the American Silver Eagle coins. 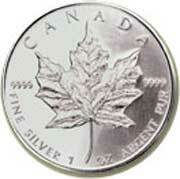 The Silver Maples have a face value of $5.00 but their real value is much higher due to their silver bullion content. In addition to the Maple Leaves the Canadian Mint is producing a .999 Canadian Wildlife Series coins. Each year has a different image of wildlife. the mint also brings out other commemorative silver coins from time to time. I have been collecting coins since the mid 1960's. I have been buying, and selling gold, and silver since the mid 1990's. I have over 30 years experience of working with precious metals and appreciate the opportunity to earn your business. If you need to sell Canadian Silver Coins just stop by our Gurley street location or call Greg today at 928-710-2137. I’ll meet with you on your schedule. I serve the communities of Prescott, Chino Valley, Prescott Valley, Camp Verde, Cottonwood, Surprise, Payson, Wickenburg, Cave Creek, Anthem, Phoenix, Wittman, and Sun City, Az. if you are in or visiting Prescott, call me for an appointment to sell your gold.